Hi, guys! 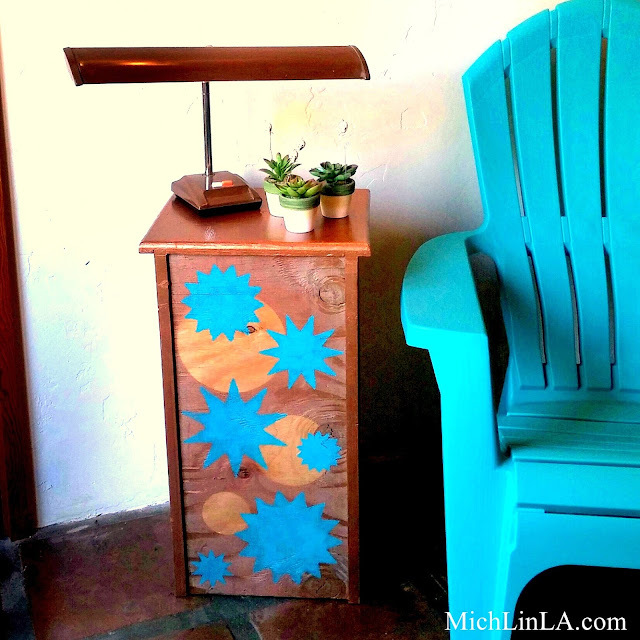 Here's a cute little furniture upcycle to try. A starry, starry side table, made from an old unwanted drawer. 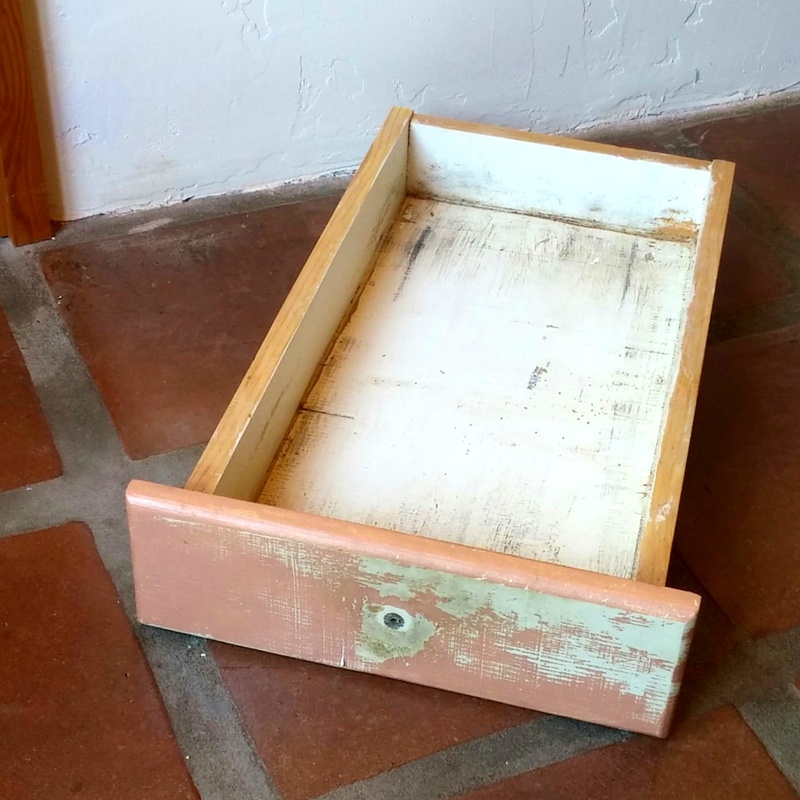 The backstory: I saved a bunch of naked vintage drawers from the demolished kitchen of my old adobe fixer-upper. I've been daydreaming for a year about ways to use them, and these little side tables are the first project I've actually completed. My favorite thing about them is the reverse-stencil effect, which shows some of the natural wood. 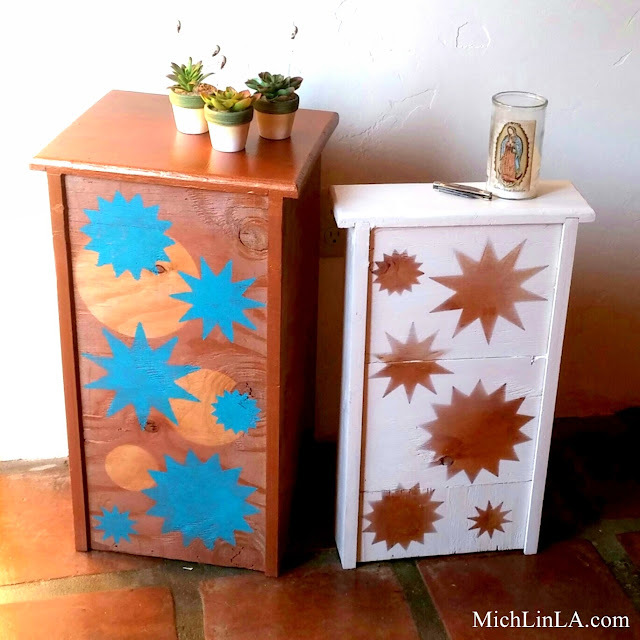 The circles on the large drawer, and the stars on the skinny drawer, were created in the same way. To adhere my shapes to the drawer backs, I used just a few bits of double-sided tape to loosely stick them down. Caveat: that wasn't a perfect method - some paint did get in around the edges. For these rustic l'il tables, I didn't mind! But for a crisper edge, I'd make sure to tape all the way along every edge. You could also use removable spray adhesive. Then spray paint like mad, covering everything that isn't a paper stencil shape. For the little white table, that's all you need to do! Adorable, no? For the two-tone blue table, there's one more step. 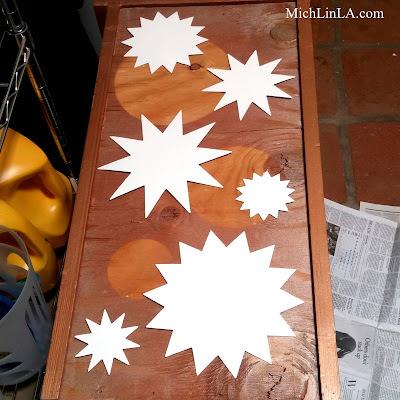 I popped the stars out of a bunch more stencils, and laid them out on the surface to decide on placement. 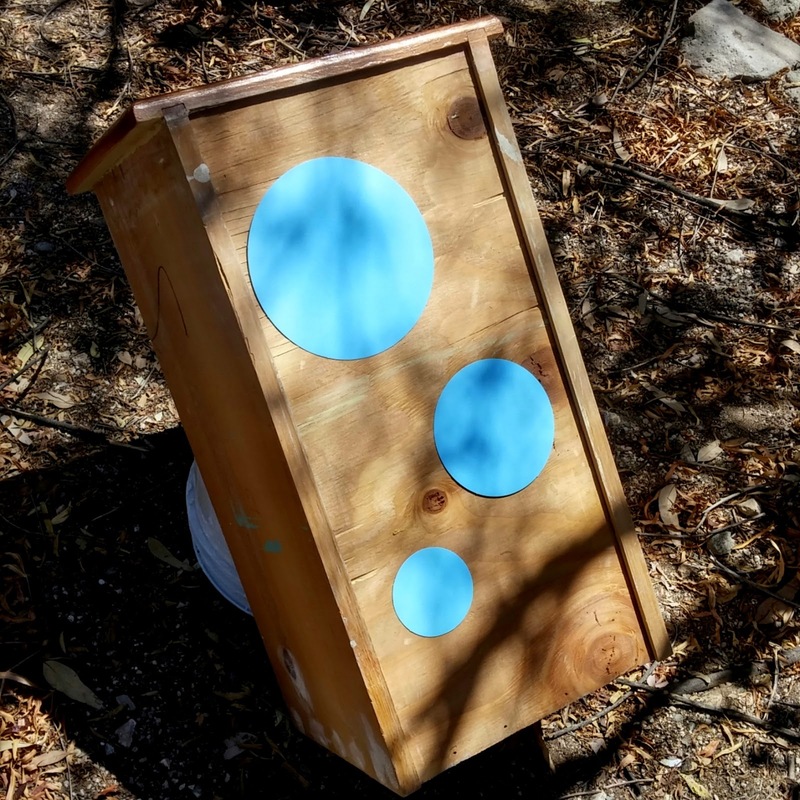 After I marked the locations, I just used my star stencils and a pouncer (well, a piece of kitchen sponge, 'cause I couldn't find my official pouncer) to stencil my stars in blue. Hope you enjoyed this one, let me know what you think! I have seven drawers left, and a couple more ideas for later. Maybe, in a year or so, I will get around to one of 'em. For now, I must really try to talk myself into thinking about attending that meeting of Procrastinators Anonymous I've been putting off. 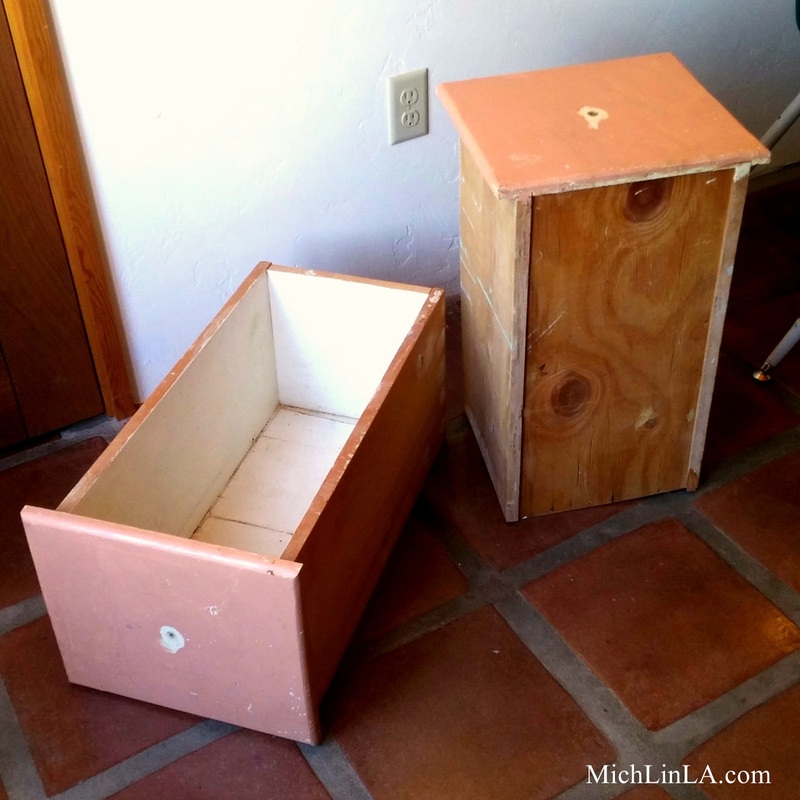 What a unique idea to use drawers as a side table! 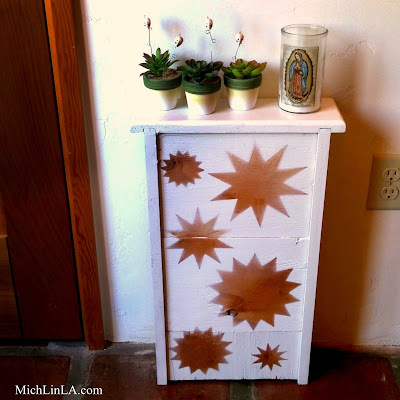 That, in itself, would be a great diy but you had to go a step further and add a stenciling technique to the mix! Wonderful! You go girl! What a cool and clever idea to salvage the old drawers of your kitchen and bring them back to life like this. Love your technique! BTW, I'm a member of that PA club. This is too perfect dear, simply the best indeed :) I love the color you selected. Fabulous job, just love seeing your creativity with home decor! Thanks for sharing on craft schooling Sunday! Hey, Michelle! I haven't seen you online for a LONGGGGGGGGG time. How are you? Love that starry side table. 100% recycled. Yes!! I love it. Thanks for linking it up. Hope to see you again soon! ~ Hugs, Rose from London. very cute- how stable are they? Did you weigh them down in the back? Michelle, I love this idea! I don't have enough space in my new bedroom for a standard night table but this could definitely work!